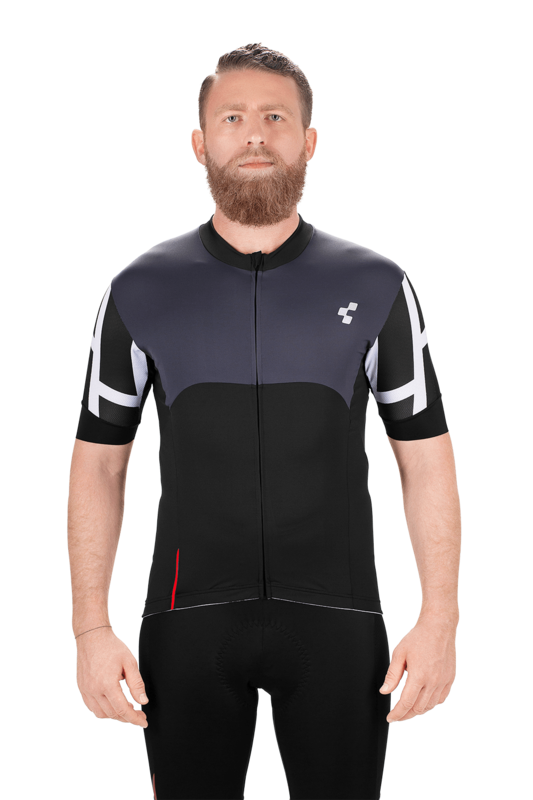 Our new short-sleeve CUBE Blackline Jersey combines maximum function with a modern, unpretentious look. Perfectly suited for cycling – no compromises. 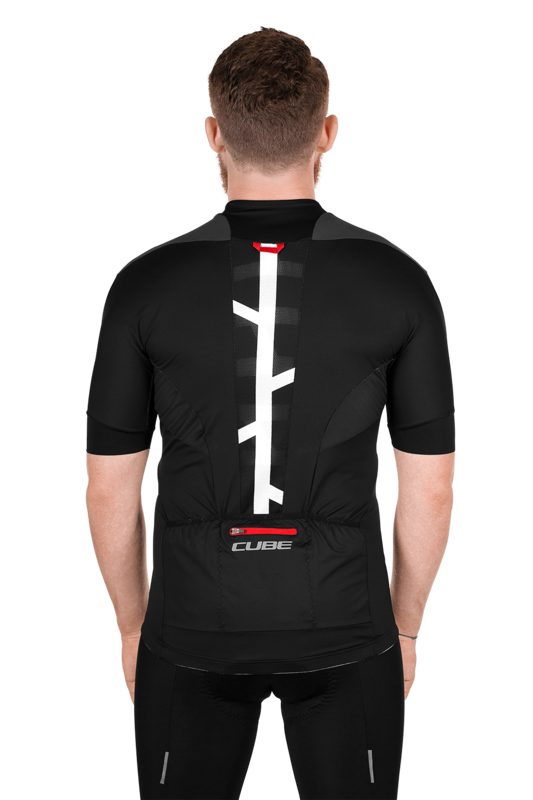 CUBE’s athletic v-shape cut has clever lines to keep your shoulders loose so you have room to move while the torso and waste stay nice and snug. Optimal aerodynamics without anything fluttering around in the wind. To safely and securely carry all your belongings, the pockets are fully integrated into the jersey and made of special reinforced material. The full-length front zip makes it easier to put on and take off, and the non-slip, printed silicone hem and preformed collar ensure the jersey stays where it’s supposed to.